When you combine fluffy, chocolatey, sweet-Australian-treat goodness and waterfalls, the result can only ever be pure happiness, right?! 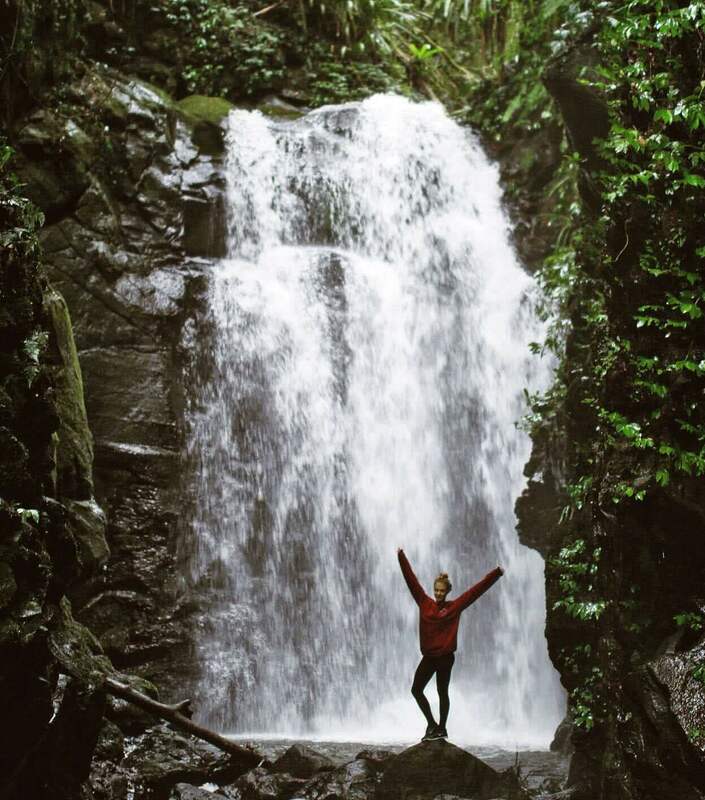 Take yourself out on a journey to Lamington National Park in the Gold Coast Hinterland and you will not be disappointed. 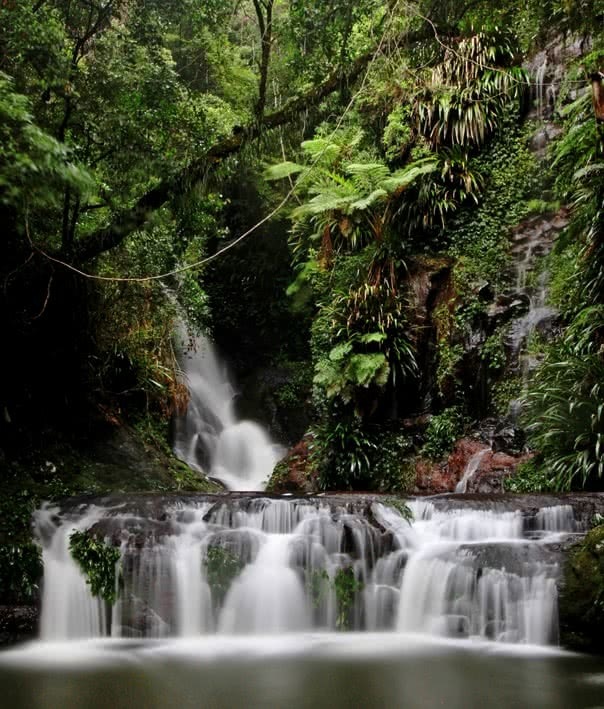 Lamington National Park is located in the lush Gold Coast Hinterland. 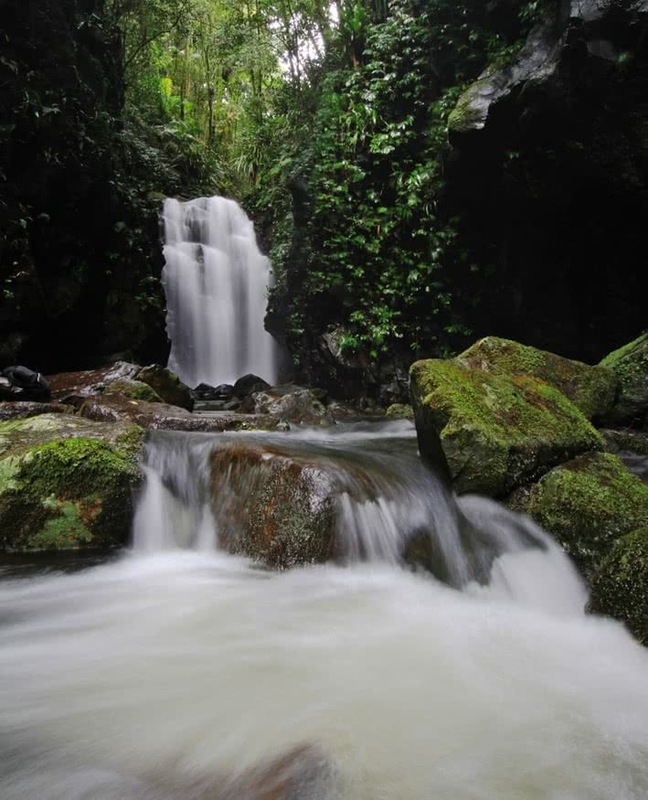 The Green Mountains Section has a range of hiking trails through beautiful rainforest, spectacular waterfalls and breathtaking lookouts. We set out from O’Reilly’s Rainforest Retreat to hike the West Canungra Creek Trail after the Gold Coast had received a large amount of rain the previous day. 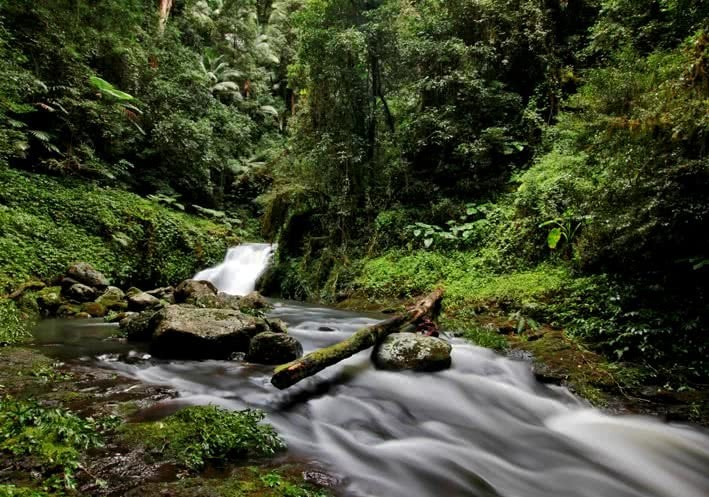 The track is a 13.5km return hike which winds down through dense forest full of ancient trees. Our first photo opportunity was Darraboola Falls and then the track descends to Yerralahia (blue pool). From the blue pool the track takes you up stream following the creek for most of its length leading you past a couple more smaller waterfalls along the way. There are multiple creek crossings which are normally easy to cross but with the amount of rain there had been the day before we ended up knee deep in water through most of the crossings. Make sure you do your research beforehand and only cross if it’s safe. The track joins up with the Box Forest Circuit which highlights Box Log Falls which was in full force. There is a lot of spray from this waterfall which made it a little difficult to photograph and ended us drenched from head to toe but well worth it. 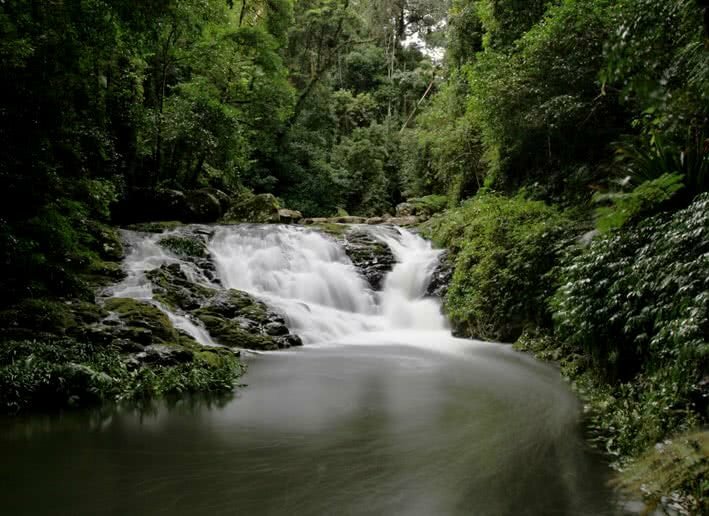 The last waterfall we visited was Elabana Falls which features three waterfalls in one which was absolutely beautiful. We returned to O’Reilly’s Rainforest Retreat wet and half frozen but with a big sense of accomplishment and in awe of the amazing places we had explored.